The beautiful Breeze Pergola 12′ x 12′ is crafted with superior expertise from Western Red Cedar, well known for its durability, beauty, and strength — Not only is it pre-cut, it comes completely pre-drilled and notched to make the installation extremely easy for you. 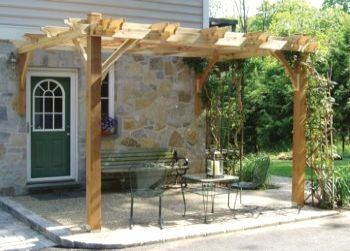 Priced at only $3,609, it comes with a beautifully crafted Cedar pergola kit, installation hardware and detailed illustrated instructions for a very easy installation! Easy to assemble. Approx 4-6 Hours.